Beijing Folk Art Museum is located in Dongyue Temple which is designated for worshipping Grand Emperor Dongyue or Grand Emperor East Sacred Mountain on Chaoyangmenwai Avenue. The temple covers 60,000 square meters featuring 376 ancient rooms, and now stands under national-level protection. The Beijing Folk Art Museum is the only themed museum displaying folk customs and cultures under governmental operation. 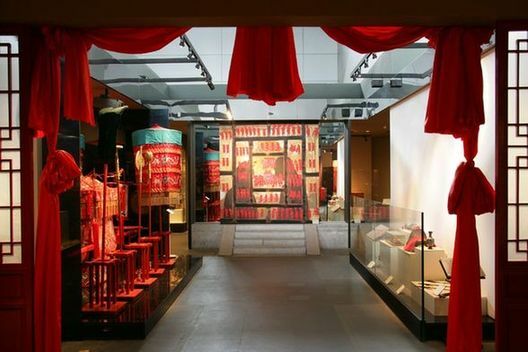 Inside the museum, visitors can easily see the series of exhibitions on old Beijing folk customs and traditions. Many a special folk art movement is available during important festivals, including Spring Festival, Dragon Boat Festival, Mid-Autumn Festival and Double Nine Day.